AVAILABLE FOR GARDEN TRACTORS - 4 X 4s - QUAD BIKES ETC. 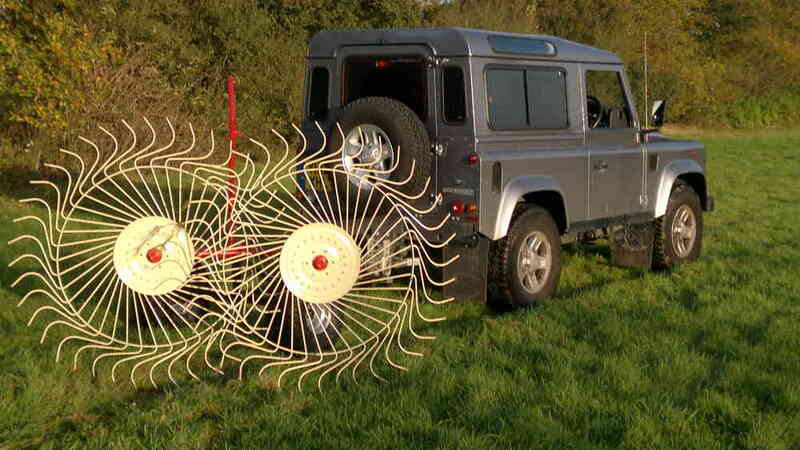 The two wheel trailed hay rake covers 2 rows or around a 1.5m width. It is ground driven as it travels and so does not need a power take off to drive it. Turning the wheel frame over changes the operation from tedding to dry the grass, to gathering it into rows. A single lever moves the rake/tedder from the working to the transport position.